« Are You Making One of These 6 Nutritional Mistakes? Everyone has that little spot on their body that they’re not totally happy with. I have it, you have it, even Arnold Schwarzenegger wasn’t happy with his legs for a long time. But there are certain spots that are so common they could almost be considered universal. Belly fat, thighs, and love handles have to be the top three I get asked about more than any other. I have some bad news for you, but I’m going to follow it up with a piece of really awesome news that should more than serve to take away the bitterness. The bad news is this – there is no way to spot reduce fat. It’s virtually impossible to target one specific are of fat on your body, if you’re eating right and training hard, it will just go when your body decides to use that particular deposit for fuel. This means that you can train for systemic fat loss, but might lose it in other areas first because your body has seen fit to prioritise those over the one that makes you anxious when you look in the mirror. The really awesome news, however, is this – Most people train to lose fat as though spot reduction is the only way to do it. They target belly fat with crunches or ab twists, they target the backs of their arms with tricep work. This sort of body sculpting is elite level stuff, mostly only useful to the people whose bodies are eighty percent or more of the way to a stage physique already. Why should you care? Because there are straightforward, systemic fat burning protocols that won’t just blast the deposits that have you weeping over your reflection, they’ll smash fat all over your body into history. You want to know what’s even better? You can get them done in just a few minutes. Providing you do them right. Now, if I were a more mean spirited person I could just leave this post right there. After all, I’ve told you these protocols exist, I’ve achieved my mission in bringing you new and interesting facts about the world of health and fitness. But I’m a giving sort of a person, so I’m going to tell you exactly what you need to do, step by step. First of all, let’s look at what you’re already doing. I’m going to presume that you’re already lifting weights on a regular basis. You don’t have to be, but if you are it’s sure going to boost the effects of these training protocols, plus it’s going to help you keep those fat deposits off long term. Prowler: I like this best after a leg session. Load the sled up with weight, so that when you push it your pace is roughly that of a slow walk, then push it as fast as you can, as many times as you can, up and down for one minute. Keep your hips down, keep your head up, drive forwards, and keep going as fast as you can until the timer beeps to tell you that the minute is over. Don’t pace yourself, give it everything you’ve got. If you slow down in the later minutes that’s okay, just go as hard as you can all the time you’re going. Keep going, 1 minute on, 1 minute off, for five rounds. Yes, technically this one goes for ten minutes, but you get to rest for five of them, and this is the longest of the three I’m going to describe. 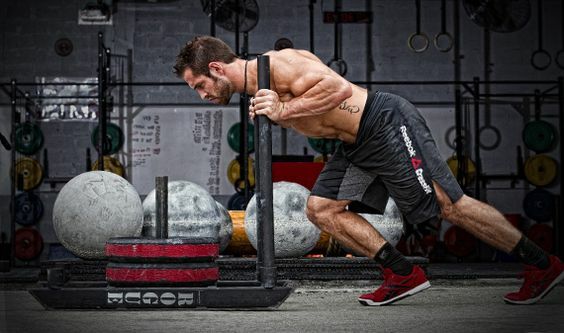 Battle Rope: I like this best after a chest session. Pick up the ropes, then perform big double-rope slams with them for 25 seconds. After 25 seconds, switch to quick single-rope flurries (up and down very rapidly). The rest for 25 seconds. Do this for a total of six rounds. Don’t pace yourself, give it everything you’ve got. If you slow down in the later minutes that’s okay, just go as hard as you can all the time you’re going. Rower: This one is my personal favourite. I like it best after a back session. 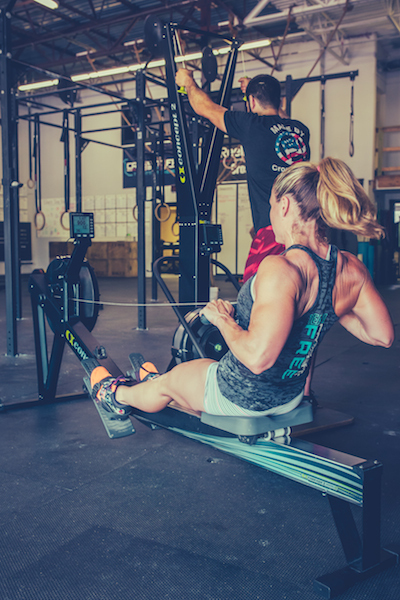 Jump on the rower, and give it everything you’ve got, rowing all-out, hard as you can for twenty seconds. Rest for ten seconds, then do it again. Go for a total of eight rounds. Don’t pace yourself, give it everything you’ve got. If you slow down in the later minutes that’s okay, just go as hard as you can all the time you’re going. Start tacking these on the end of your lifting sessions and pretty soon you’re going to see massive changes in the fat loss you get from your training.